I asked Colleen Gibbs Doucet to share what her family has done for Maggie Lee for Good Day (10/29) These girls have crazy-fun enthusiasm and I LOVE IT! 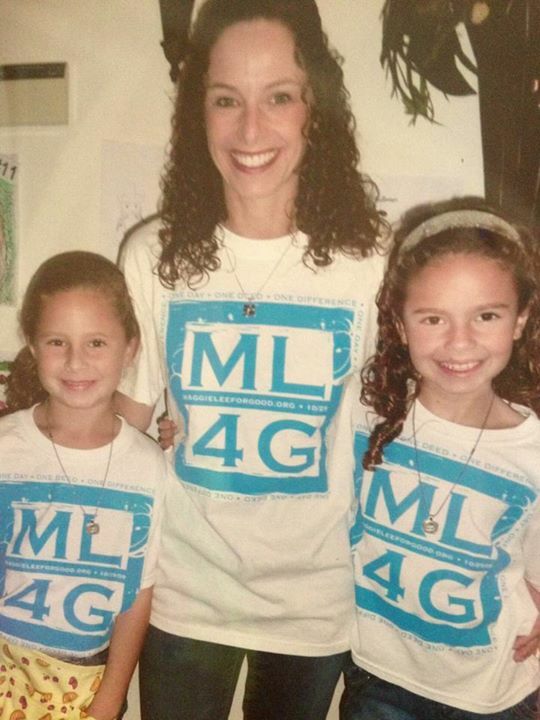 Our daughters were so impacted and inspired by Maggie Lee’s life that for the past 5 years we have done a MLFG project. Several years ago we started a Hot Chocolate Drive Through to raise money for Maggie Lee’s Closet ( a free children’s clothes closet in Shreveport serving the community’s most under-resourced). At one point last year we had 18 children helping us. Each year it has grown and grown and the neighbors and community members come out to support by driving through our Hot Chocolate drive through. The kids plan an execute the entire effort with posters, flyers, plans all their own. The day of the event, the kids are all here dark early to prepare and to pray. They rotate through serving in different areas (promotion on the corner, taking orders, filling cups and the all important marshmallow station). The children are FULLY engaged and have such joy each year as what we have raised has grown. This year we are looking for companies to match what we raise. We always stop and pray before and after the event that the children and families who ultimately receive clothing or school uniforms through Maggie Lee’s closet will be blessed. Maggie Lee inspired all of us and our daughters and their young friends are reminded that regardless of their age, they can impact the world through doing good. The Hot Chocolate Stand we do each year IS doing good …. and not just for Maggie Lee’s Closet. It brings neighbors, strangers and families together while helping a charity that is near and dear to us too and we are humbled and honored to be a part of carrying on Maggie Lee’s legacy! Our daughter Maggie Lee has been gone for five years now. Life-changing acts of kindness have been done in her memory on every October 29th, Maggie Lee for Good Day, since 2009. To our astonishment, people in Germany, Venezuela, Haiti, Africa, Ireland, France, Switzerland, Chicago, Seattle, LA, Houston, Shreveport, Dallas, Jackson, Birmingham, Atlanta, San Antonio, St. Louis, New Orleans, Tifton,GA, San Diego, Austin, Denver, New York and hundreds of other places have participated. I have met many new friends along this journey. Most people who celebrate MLFG Day have never even met Maggie Lee but were somehow impacted by her story, changed for good. In compiling a new video for Maggie Lee for Good Day I came across this video linked above which I wanted to share with you. She looks pretty sleepy as she was sick a lot of her 6th grade year, but her spirit clearly shines though. May we always keep in mind the beautiful gift we are given in each other and continue to share God’s love in ways that people can see and feel. As Maggie Lee said, “I really love The Lord and I want to put His work into my work. And I think with Him I can do all things.” Maggie Lee for Good.